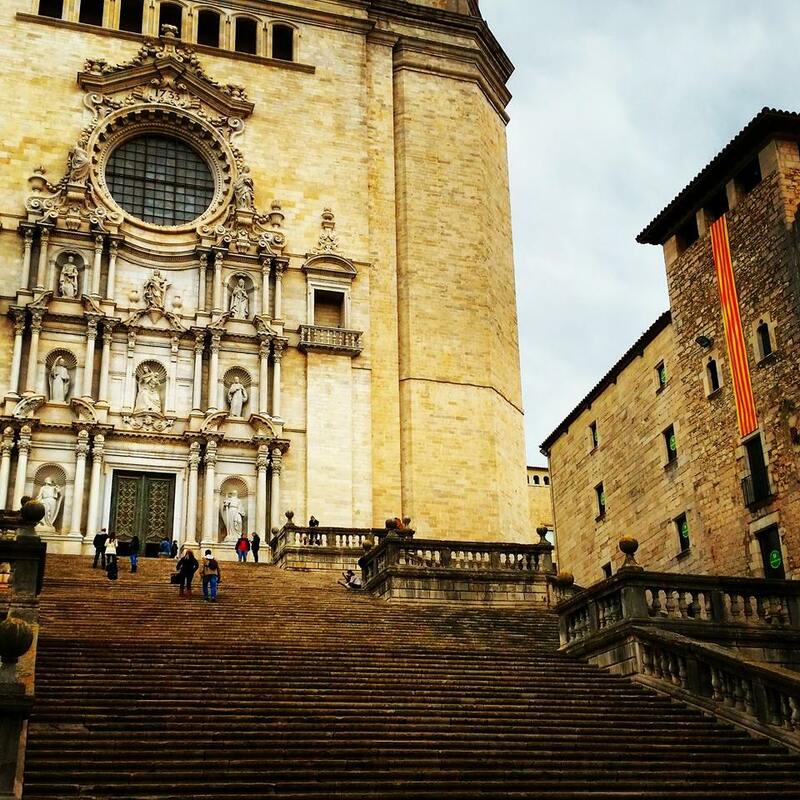 Discover with us the Magnific city of Girona. 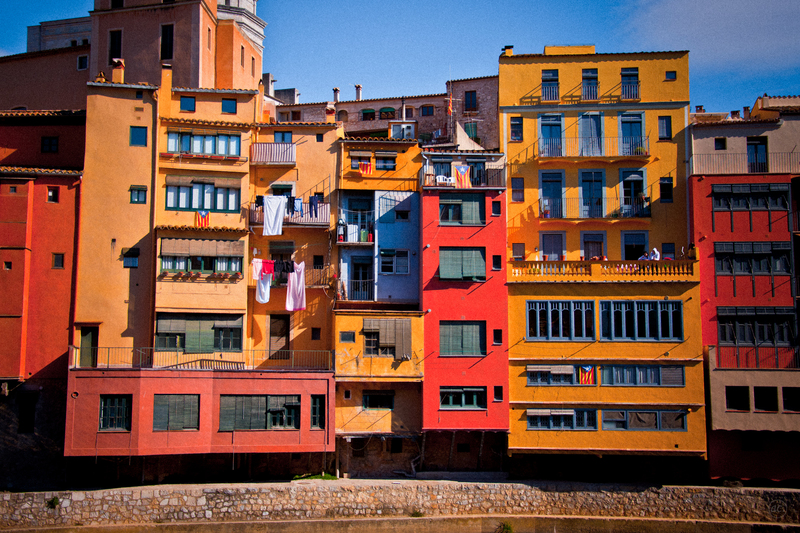 This option is suitable for Hotels located at the Costa Brava . Pick up at the reception 09h.am. We will arrive downtown after an hour drive. 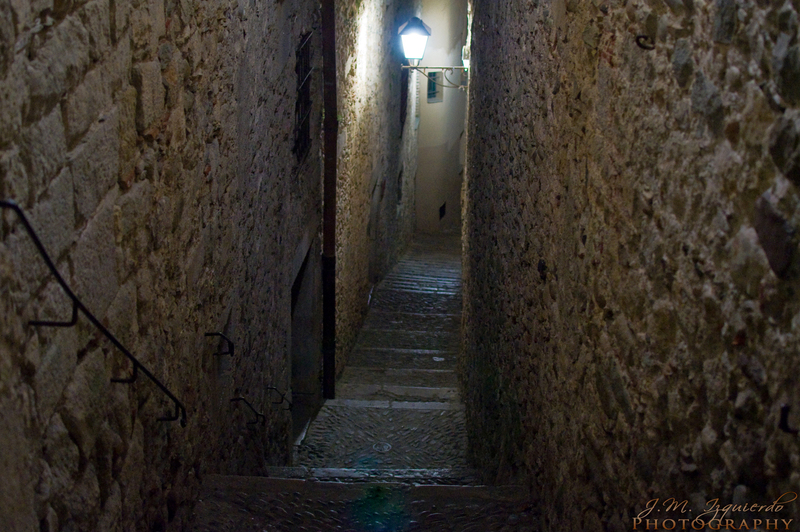 We will take a nice promenade, enjoying all the art and culture, walking around the narrow historic streets during 3 hours . 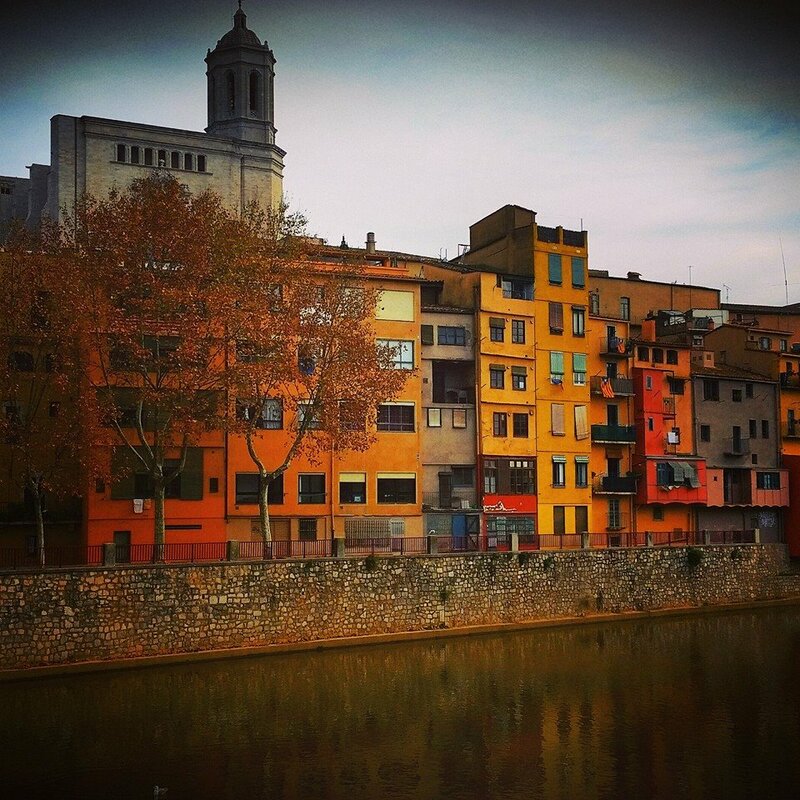 Later we will continue along the old part of the city, the lion ” la lleona “, the river Onyar with the old bridges, pont de les peixateries, Força Vella and we will also discover the interesting history of the Jewish quarter, the Patronat Call de Girona, La antiga muralla and the Cathedral. 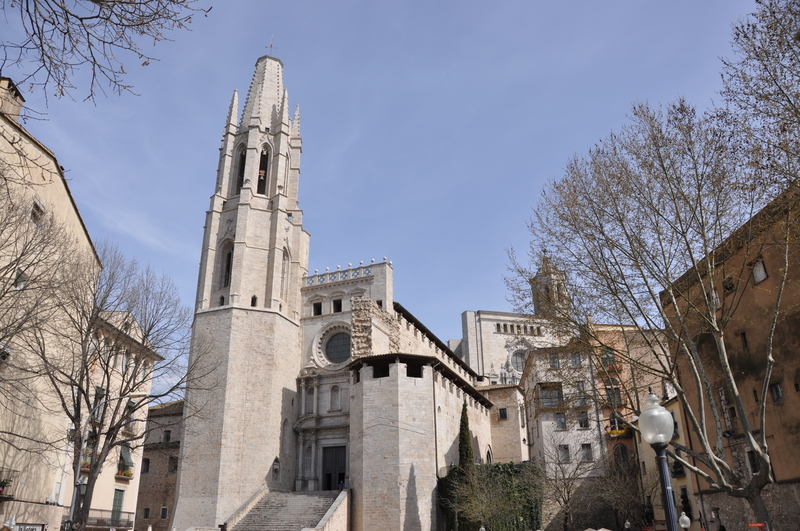 *Saint Mary of Girona is the cathedral church of the Roman Catholic Diocese of Girona. Its interior includes the widest Gothic nave in the world and the second widest overall after that of St. Peter’s Basilica, just for comparison, the width of the nave of Reims is 14.65 m, Saint-Étienne de Sens, 15.25 m and 12 m, in Notre Dame de Paris. Its construction was first started in the 11th century in Romanesque style, and later continued in the 13th century in Gothic style. 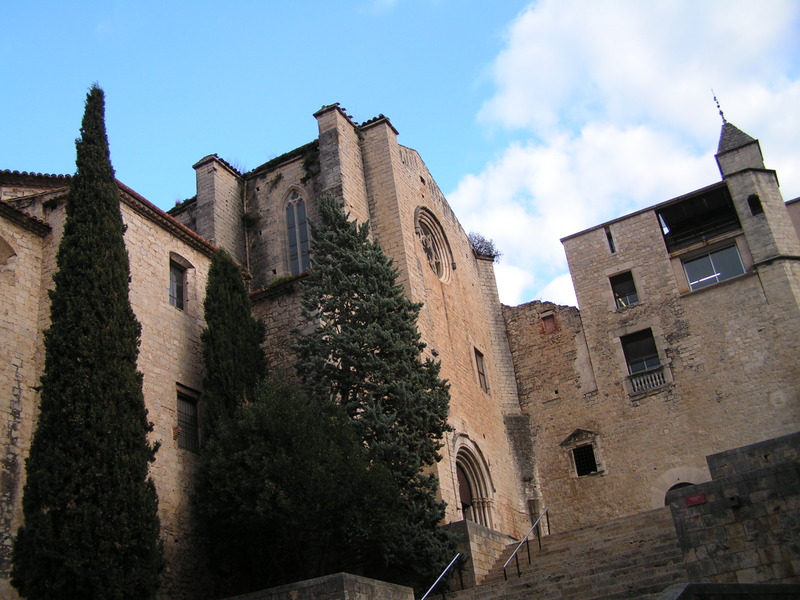 Of the original Romanesque edifice only the 12th century cloister and the bell tower remain. Outside has a Baroque façade and 2 bell Towers. One hour lunch break in a typical restaurant enjoying the local gastronomy. 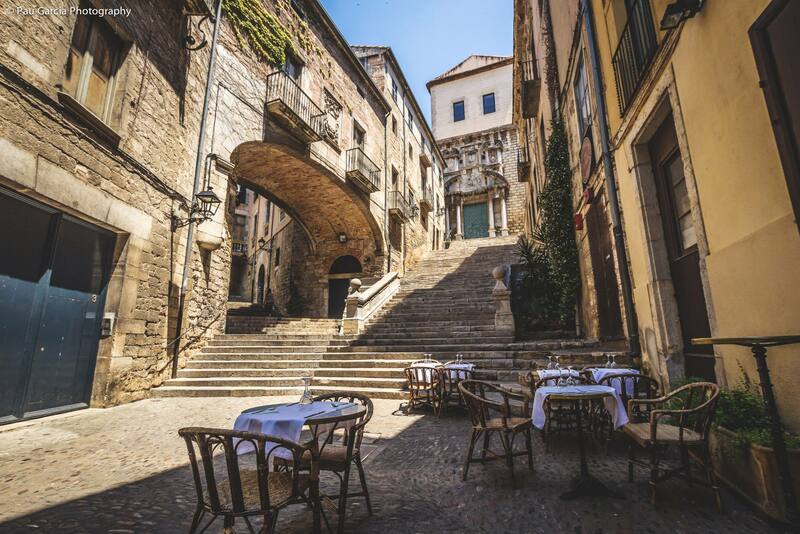 *The Jewish Heritage: Although most traces of Girona’s rich Jewish history were wiped out when the Jews were expelled from Spain (see Spanish expulsion), a few remain. On Carrer de Sant Llorenç, a rectangular indentation that once held a mezuzah can be seen on the doorway of an old building. 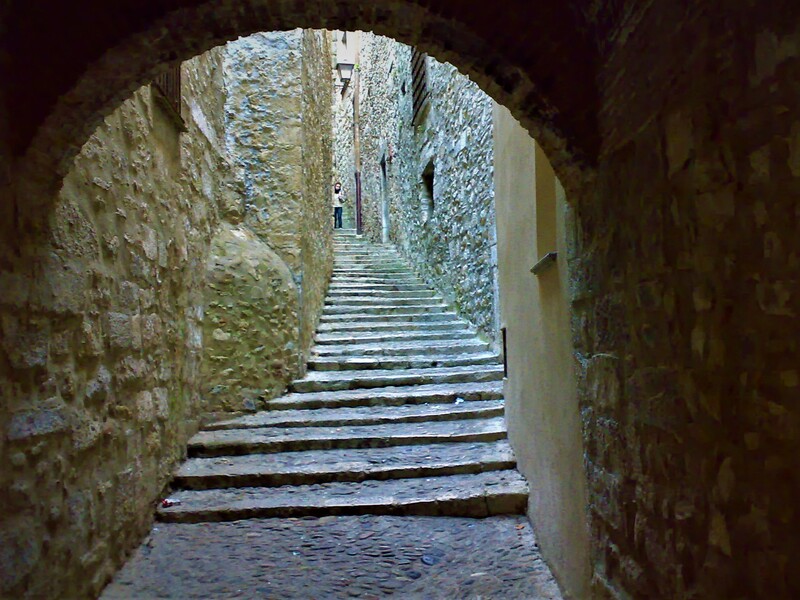 Farther along is the Centre Bonastruc ça Porta and the Catalan Jewish Museum. 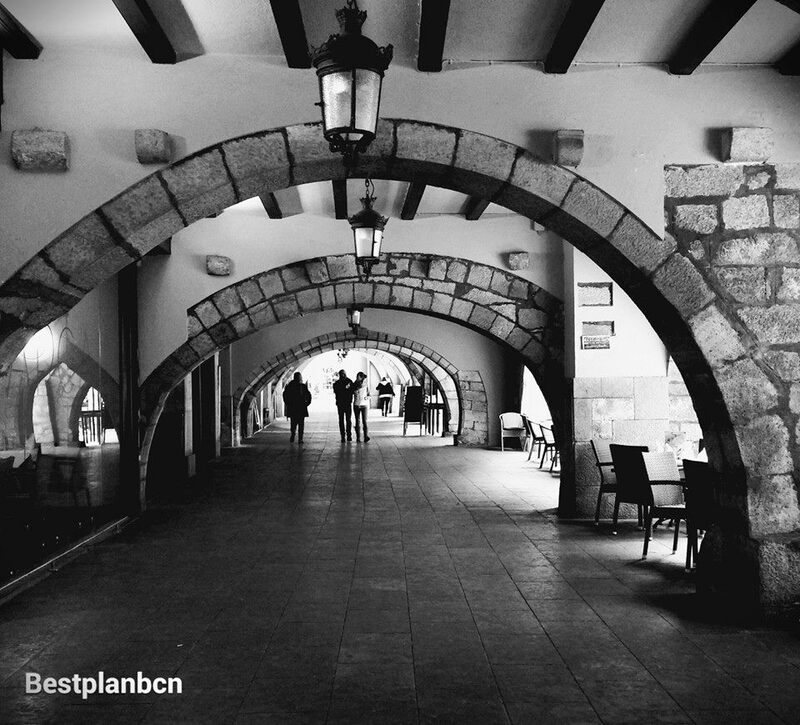 The Bonastruc ça Porta project started in the 1970s, when it became fashionable to renovate properties in the old town. We will return in the evening.